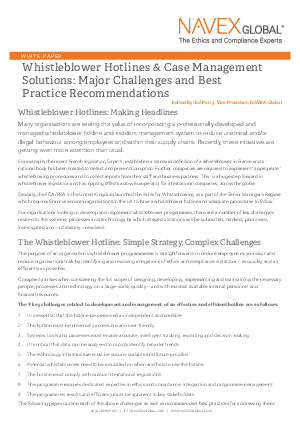 The integrated hotline and incident management components are the employee facing “front end” of any whistleblower programme. As such, their proper implementation and management will determine how the programme is perceived by potential whistleblowers and other key stakeholders. The hotline will also largely conclude how effective and efficient the programme is in meeting its overall objectives.